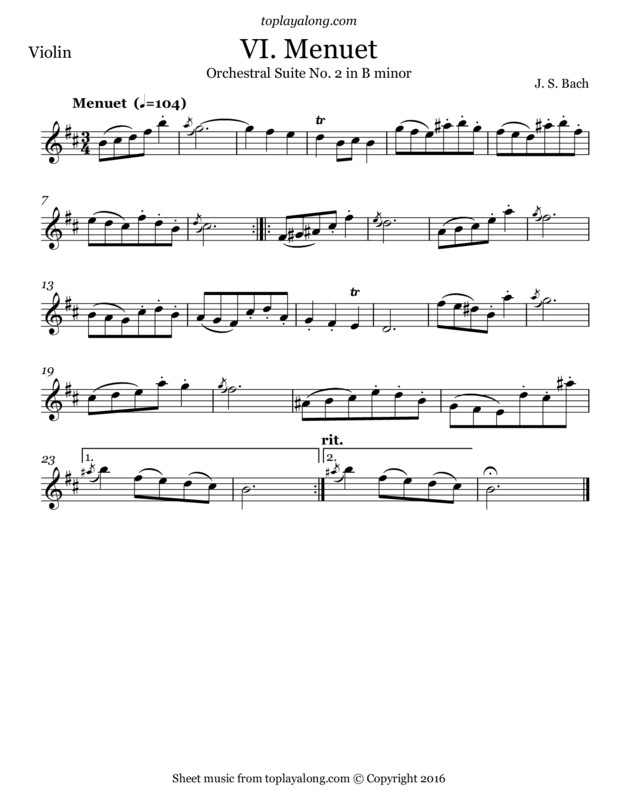 Sixth movement (Menuet) of the Orchestral Suite No. 2 in B minor, BWV 1067, scored for strings, continuo, and solo flute. The minuet (or "menuet") is a binary movement, though not with a da capo, as we expect of the minuet in the later eighteenth century. it is another triple-meter movement, grateful, moderate in tempo, and simple in texture.